Welcome home: place your furniture and go play in the park, because everything is remodeled and ready to go at this great house! Freshly painted inside and out with designer colors. Remodeled kitchen with gorgeous granite counter tops, gas oven/stove, beautiful new sink with high end faucet, BI microwave. Wood plank laminate flooring mixed in with brand new carpet. Master bedroom bathroom is delightful with new stone designer tiles in the shower. Double sinks in MB bathroom. Slider to the backyard in the MB that let's in natural light. This is a must see. The park is located across the street and is a wonderful place to go for walks and of course play on the play ground. Location, location, location is the true meaning here in this subdivision. 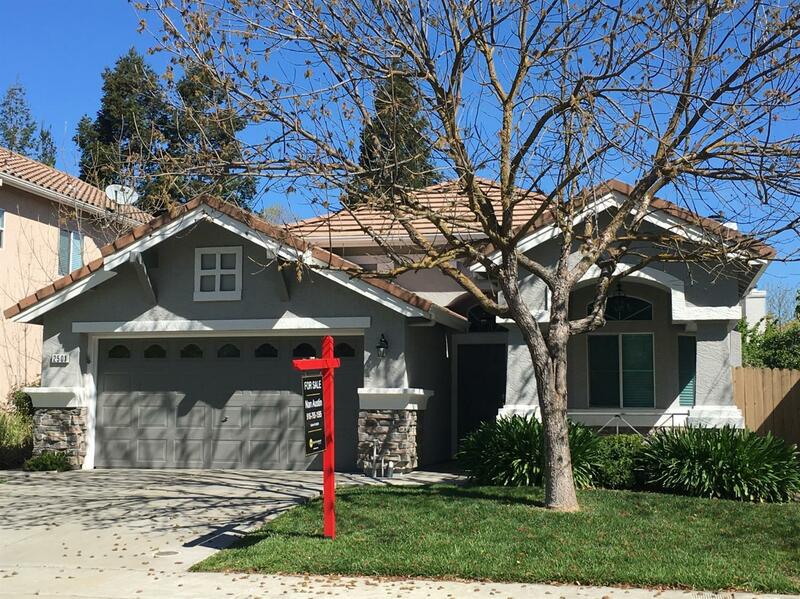 Close to I-5, a few miles to central Elk Grove where shopping, restaurants abound, and a short distance to Highway 99. Don't wait any longer for that perfect home because this is it!! !